Four DVDs of powerful practices to enhance our health, happiness, and spiritual journey. Is it possible to maintain a youthful flow of abundant vitality throughout our entire lives? Qigong masters such as Robert Peng know that we can—by using time-tested practices to amplify our physical, mental, and spiritual energy. 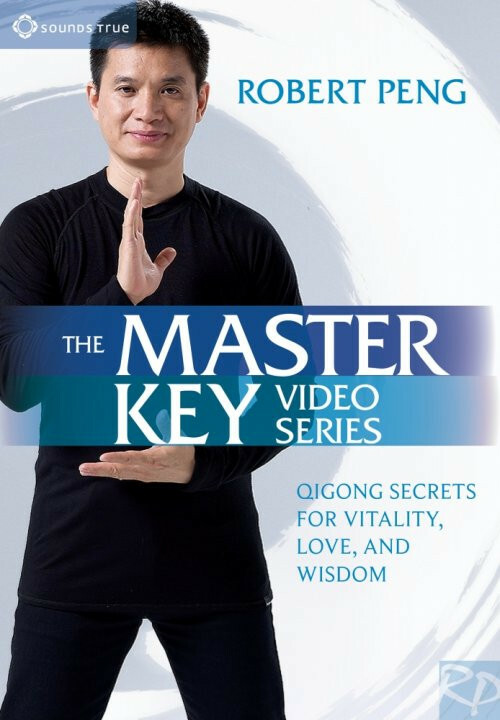 With The Master Key Video Series, this renowned teacher presents four DVDs of instruction in powerful Chinese energy practices to enhance our health, sustain our happiness, and bring us into effortless alignment with the flow of life. Disc One: The Basics—Follow Robert's own journey into Qigong through the teachings of his master, the legendary monk Xiao Yao. You'll then establish the foundations of your practice with exercises to awaken and balance your Three Dantians, the primary energy centers of your body that govern wisdom, love, and vitality. Disc Two: Empowerments—Learn the practices of the Hologram Palm Empowerment of the Upper, Middle, and Lower Dantians, the Breathing Empowerment of the Central Meridian, and Awakening Awareness—practices to build inner harmony and a strong connection to the energetic resources of the world around you. Disc Three: Three Treasures Standing Meditation and 4 Golden Wheels Exercise—Two essential Qigong practices for deepening your experience of your subtle energy flow. You will learn to harmonize the forces of Heaven, Earth, and your body, and discover an essential restorative exercise to fill you with buoyant vitality each day. Disc Four: Lotus Meditation and Connecting Universe—Take a journey to the source of divinely inspired love: the awakened heart. After completely cleansing your body in the Lotus Meditation, you'll learn the Qigong meditation for opening and energizing the Central Meridian channel that connects you to the universe. "The way of Qigong allows you to deepen your capacity for wisdom, love, and vitality," teaches Robert Peng. Here is an unparalleled resource of Qigong practices to reawaken your inner fountain of youth, balance the forces within and without for harmonious living, and open clear and abundant channels for life energy to flow. The content of this video series is fantastic and I am a huge supporter of the work of Robert Peng. However, with the video download, there is no way to navigate throughout the 4 downloaded files, which makes the overall organization of the content unusable in any practical way. With a DVD, it is pretty easy to navigate. With a downloaded file, not so much. Imagine buying a music album of your favorite musician, and instead of receiving all the tracks as individual files, you received one 60 minute file with all the songs in it, so you'd have to fast forward and rewind to find the individual song you wanted. This is how this video series is organized, and it is really terrible. What would make more sense, is for each lesson, each meditation or qi gong session, to be its own file. So you can just find the track of what you want to do, click play, be on your way, and create a play list for your daily practice.